For millennia and across the world, the egg has been a powerful symbol, representing the earth, fertility and resurrection. Little surprise that eggs also figure widely in folkloric beliefs; such fragile packages of embryonic avian life have a magical quality that appeals to us all. To early humans, a shell cracking to reveal new life in a way so different from mammalian reproduction must have seemed both alien and miraculous. Yet, as birds populate every continent, it was also a ubiquitous phenomenon, which may partly explain why eggs became universal symbols of life and resurrection. Ancient peoples linked the magic of this parcel of new life to creation itself, believing that the world was formed from a cosmic egg. 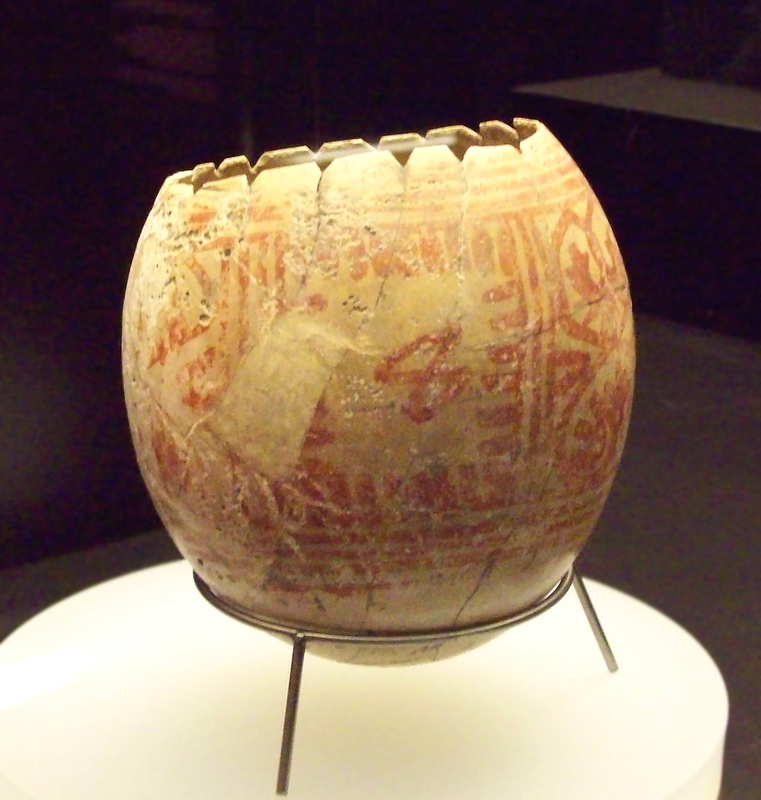 Such an egg features in the ancient beliefs of India, Egypt, Greece and Phoenicia. In one account, Brahma, the Hindu creator, appeared from a golden egg that floated in universal waters while Chronos, the Greek personification of Time, produced an egg from which the world’s creator emerged. In Australian Aboriginal Dreamtime the egg was a symbol of light. When Dinewan the Emu quarrelled with Brolga the dancing bird, Brolga angrily grabbed an egg from Dinewan’s nest and launched it into the sky. The yolk struck wood, caught fire and was transformed into a dazzling sun that illuminated a hitherto dark world. Jacob Bryant’s Orphic Egg (1774). 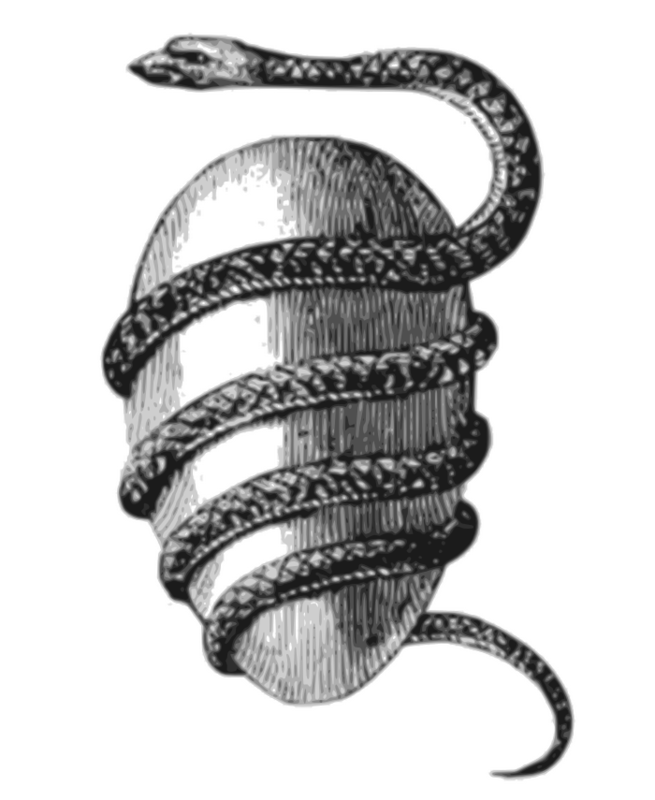 The Orphic Egg in a depiction by 18th-century mythographer Jacob Bryant. In the beliefs of the Ancient Greeks, this was the cosmic egg from which Phanes the god of procreation emerged. The Greeks and Romans of the ancient world placed eggs in tombs or left nests of eggs beside them – a sign of life after death – while Maori people buried their dead with an egg of a now-extinct moa in one hand. Still today, Jewish mourners traditionally eat eggs after a funeral to signify loss and the circle of life. More than 2,500 years ago, eggshells were decorated as part of spring rituals in Africa and elsewhere to symbolise new growth and life. Undoubtedly influenced by such traditions, Christianity adopted the egg to denote the Easter Resurrection of Christ. 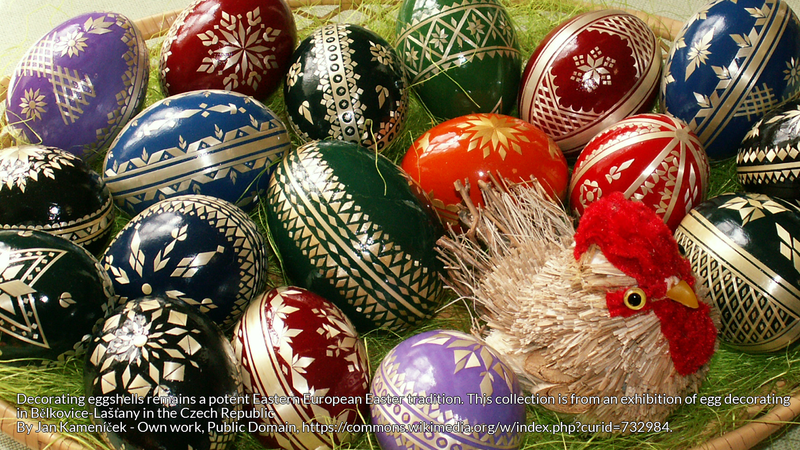 The decorative painted eggs of Eastern European countries, such as the pysanka of Ukraine, were used in Christian rituals from the 10th century AD. By the late 13th century ostrich eggs, which had first hung in mosques to symbolise light and life, began to appear in churches, too, and featured in Easter ceremonies. Well before the advent of Christianity, eggs were also used ritually to encourage human and agricultural fecundity. Such practices continued so that, for instance, in 17th-century France, a bride would break an egg to ensure fertility when she entered her new home, while German farmers smeared eggs, bread and flour on their ploughs in spring as they sowed their fields. Women of the indigenous Japanese Ainu people had to take eggs from the nests of certain birds and present them to their husbands or fathers. The women would then mix the eggs with seeds to be planted that year, while the men prayed for good crops and made inao (talismans) to place in the nests. From such ‘new life’ associations, eggs were imbued with all sorts of magical qualities. According to Funk & Wagnalls Standard Dictionary of Folklore, Mythology and Legend, in folklore across Europe it was once believed that the strength of a malevolent supernatural power could be destroyed only if an egg, usually hidden in an animal’s body, was broken – possibly the origin of crushing the shell of a boiled egg after eating it to avoid bad luck. Southern Black Americans were said to have a stock of egg lore, including beliefs that a birthmark or a goitre could be removed by rubbing it with a fresh hen’s egg for nine days, then burying the egg under the doorstep. Dreaming about eggs foretold good luck, riches or a wedding, but if the eggs were broken, that meant lovers would quarrel. Native Americans of the Central United States also practised ‘egg curing’, a traditional treatment that probably originated in Europe. To diagnose an illness, the egg was broken and rubbed over the bare skin of a patient, the ‘curer’ diagnosing the malady from any usual form or colour of the yolk and albumen. Alternatively, often to relieve a fever, an unbroken egg was rubbed on the skin to absorb the heat and then buried in a stream. Oomancy, divination by eggs, was once widespread, too. The white (albumen) of the egg would be dropped into water and various predictions would be made according to the shapes it formed. Today in China, red and other brightly coloured eggs continue to figure in traditional naming ceremonies. 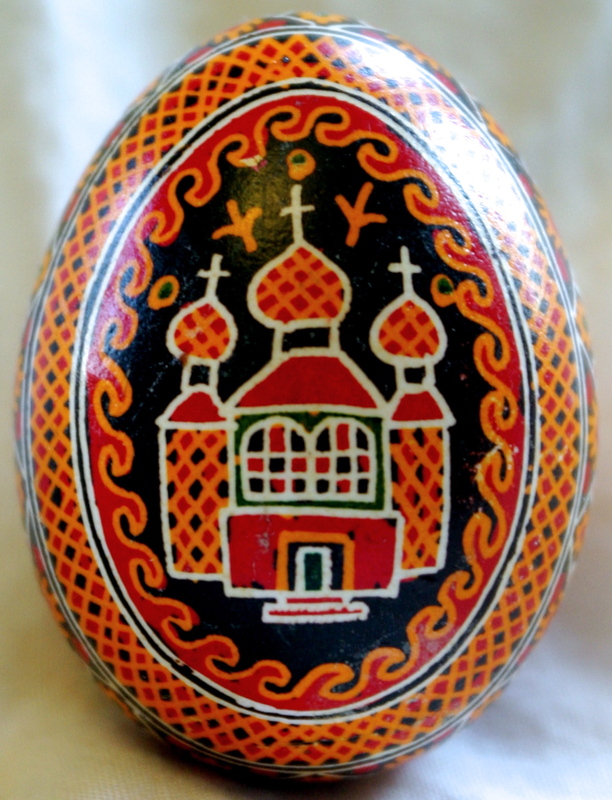 In Eastern Europe, decorating Easter eggs remains a widespread tradition and in Orthodox churches, priests still bless the eggs as a Resurrection symbol. Elsewhere, Easter egg hunts, egg rolling and other decorated egg traditions persist beyond the more widespread chocolate egg commercialism. While the modern world with its practical, scientific knowledge of biological forms could perhaps never view eggs with the wonder they aroused in our ancestors, we can understand their powerful symbolism. Their magic is also in some ways inseparable from the beauty and mystery of the birds that produce them – creatures that soar to the heavens and were once widely viewed as instruments and even personifications of the gods. Want a chance to win a copy of this wonderful new birdlore book? Bloomsbury have kindly offered 3 copies of Birds: Myth, Lore and Legend by Marianne Taylor and Rachel Warren Chadd for #FolkloreThursday readers! Sign up for the #FolkloreThursday newsletter for details of how to win a copy (valid October 2016).